It will be Earth Day this next Monday, April 22nd, 2013. We are raising awareness about the littering of helium balloons. 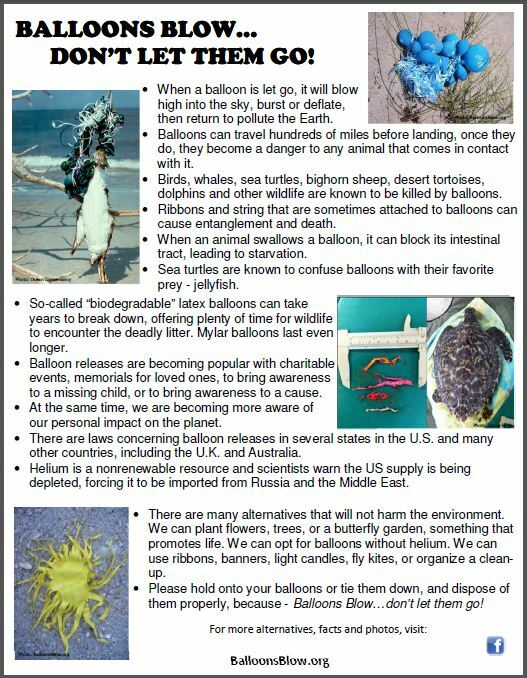 We will be passing out flyers in our community this weekend advocating alternatives to releasing balloons. One of these, of course, is releasing white doves. We ask that you join us in our campaign and let people know BALLOONS BLOW…DON’T LET THEM GO!